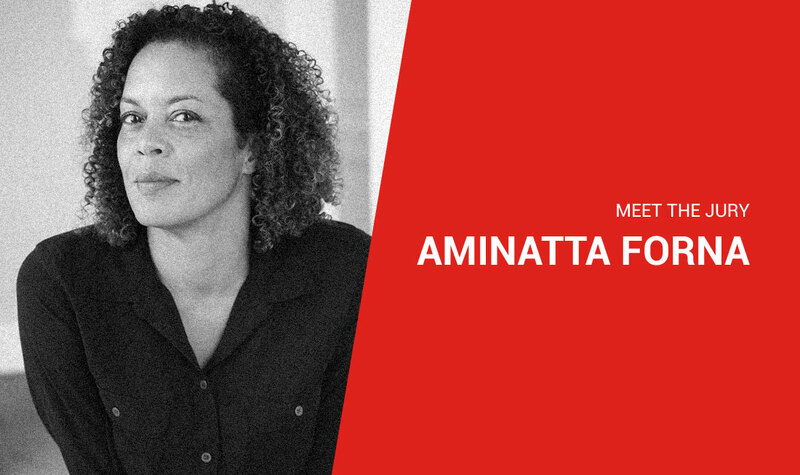 Aminatta Forna is an award-winning novelist, essayist and memoirist. Her novels include Happiness, The Hired Man and The Memory of Love, which won the Commonwealth Writers Prize, the Aidoo Snyder Prize and Germany’s Literaturpreis. Her work has been translated into more than 20 languages and her essays on society, politics and culture have appeared in Freeman’s, Granta, The Guardian, The Nation and The New York Review of Books. Forna is a Fellow of the Royal Society of Literature, a recipient of a Windham Campbell Award and was made OBE in the Queen’s New Year’s Honours 2017. She currently lives in Arlington, Virginia. It gets harder and harder to enforce a routine as the calls on one’s time increase. I miss the days when I had left my job and was writing my first book. Back then the telephone never rang. I’m not one of those writers who writes for two hours every day. I like to enter the long dream as uninterrupted as possible. I have a wall calendar and I block out periods of time during which I accept no engagements, not even lunch. In those weeks or days, I like to get to my desk early. I begin by clearing out any really urgent emails or paperwork. Everyone else I ignore. Once I get down to writing I’ll write all day. During the many years I owned a dog I would take a break around lunchtime to walk. I still like to do that. Walking clears the head and is usually the time I find the answer to any impasse I have reached in writing. I once admitted to having a favorite coffee mug and found that interviewers ever after kept asking about it, so I shall say no more on that. I prefer to write in my own space, however permanent or temporary that might be. I finished my last novel on a Lannan writing retreat in Santa Fe. I loved the unstructured life I led, if I woke up at 3 a.m. I would just start work and go to bed at 7 p.m. I also loved the fact I didn’t talk to anyone for three weeks. If I’m on a horrible plane journey I start to write, because once I enter the dream, time passes in a moment. I’m working on a collection of essays, many of which have already been published in the New York Review of Books, Freeman’s, Granta, the Guardian and other places, plus some fresh ones. After being immersed in the production of a long work of fiction, I love the clarity of non-fiction. Who is your favourite Canadian author? There are so many to choose from and probably too many ‘favorites’ to name. I’m a huge Ondaatje fan. I came to his work in my thirties. I grew up reading Atwood. Of the next generation of writers, I’d have to say, Madeleine Thien, David Chariandy, Lawrence Hill (not least for having a protagonist called Aminata), Esi Edugyan’s Giller winning Washington Black was a tour de force. Guard your writing time for no book has ever been written without it. And remember nobody ever won a prize for paperwork. I love the research, it’s where I really begin to understand a character. Duro in The Hired Man is a hunter who becomes a sniper. I learned to shoot a high-velocity rifle and my instructor, a former police marksman, told me something that informed the character’s core. He told me that a coach he brought in to raise the scores of an Olympic sharpshooting team had discovered that these men and women pulled the trigger between heartbeats. They didn’t even know they did it. How many of us have that kind of composure, not to mention the heart rate of a pentathlete? For Kai in The Memory of Love, I spent a lot of time in the operating theater. For both Adrian in the same book and Attila in Happiness, I talked to mental health professionals and I observed for many days in a mental hospital in Freetown. For Jean, also in Happiness, I spent time with wildlife biologists tracking coyotes. I observed among every wildlife biologist I met and know the same two traits. They are all independent to an extraordinary degree, content to spend long periods alone in very challenging, if not hostile environments, and they can be a little misanthropic, frustrated by the shortcomings of human beings. That’s something I understand. A surgeon, no a ballet dancer, no a wildlife biologist, no a farmer, a psychologist! … You see now why I write? What are you most looking forward to being a juror for the 2019 Scotiabank Giller Prize? Discovering new writers and new works. And the gala, naturally. Submissions for the 2019 Scotiabank Giller Prize are open. Follow us on Facebook, Twitter and Instagram for the latest news and updates.